The Modern Foreign Languages Department (MFL) at Cheam High School continues to be graded as outstanding based on the department review of 2017/18 and has received a special mention in the last four Ofsted reports for its exceptional teaching and learning. Mrs Heery is the Director of Languages and the department is made up of a team of exceptional teachers who share her ethos that languages should be taught through the communicative approach; an ethos which underpins the vibrant and interactive lessons delivered. The department is located in a purpose built block consisting of 8 classrooms, offices and tutorial rooms for group work and tutorial sessions. Mrs Heery and her team are very passionate practitioners who are always looking for ways to improve what they do in the classroom. They innovate their pedagogy and create stimulating lessons which enable students to enjoy and excel in their language learning. The MFL curriculum is constantly evolving to develop the students’ cultural understanding of the country whose language they are studying. Students enjoy languages thanks to excellent teaching which is very well planned to meet the needs of all. Students of all abilities make great progress and are always challenged to achieve to their best. The proportion of students studying languages at Key Stage 4 is well above national figures. Students are supported and encouraged by their teachers and are always looking for ways to improve their language skills. They are constantly given high quality, detailed feedback on how they can improve both in lessons and in written work. This ongoing assessment allows them to make rapid progress with their language skills. Student progress in Languages is outstanding. French and German are among the leading subjects in the school. At both Key Stage 4 and Key Stage 5 students achieve above national average expectations. Students benefit from the communicative approach to the teaching and learning and this allows them to achieve very highly and develop into confident and competent communicators. 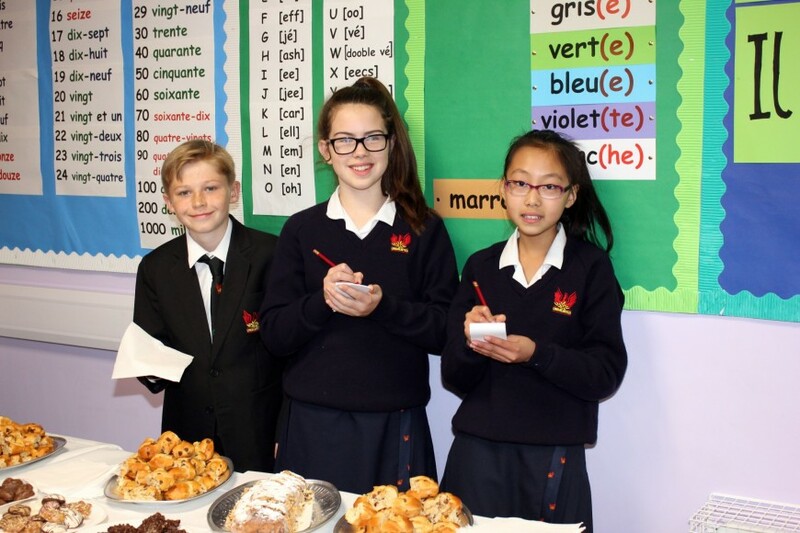 GCSE French: 81% of students achieved grades 9 - 5 with 52 students achieving grades 7 - 9. 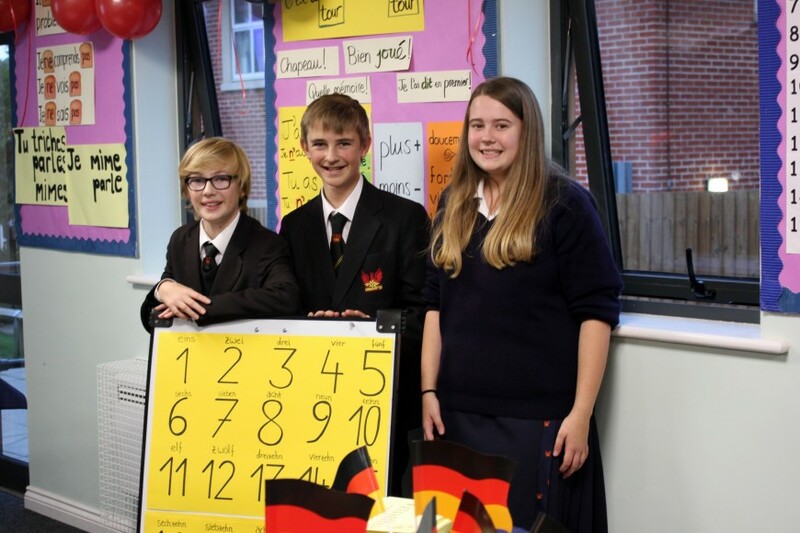 GCSE German: 100% of students achieved grades 9 - 5 with 71% achieving grades 7 - 9. GCSE Spanish: 83% of students achieved grades 9 - 5. Overall these results were extremely positive with very significant progress made. A level: 100% students across the three languages achieved grades A* -C.
A level French: 100% of students achieved grades A* - C with 3 students achieving grade A* and 3 students achieving grade A. A level German: 100% of students achieved grades A* - B. A level Spanish: 100% of students achieved grades A* - C with 66% achieving grades A* or A. Students are enthusiastic about their learning in Modern Foreign Language lessons which they very much enjoy. They take an active part in lessons and all students are motivated to participate through a range of activities which provide cognitive challenge and a competitive element. Students feel safe and supported in lessons and this enables them to have the confidence to demonstrate their language skills. Students enjoy learning new languages, about different cultures and developing their communication skills. The scaffolding in lessons allows students to feel confident and supported. The department runs a lot of intervention sessions especially for Key Stage 4 and Key Stage 5 students, allowing them to improve their work and these sessions have supported outstanding achievement in the subject across both key stages. Over the last few years, the department has also run trips to Paris, Madrid and Berlin which hopefully will continue in the future. Sixth Form students have also enjoyed film trips to the Institut Francais and Goethe Institute. Native speakers supplement lessons through additional oral sessions once a week and Language Assistants also support in lessons as needed. Year 13 students often go on to study languages or language related courses in further education. Modern Languages, Linguistics and Business Management are such examples. The Languages Department is involved in supporting other schools in developing their practice and the department has very close links with university and teacher training courses. To continue to develop our approach to the new GCSE and A level exams which were first examined in 2018. To continue to promote the benefits of languages and their linguistic and cultural benefits.